The Kaufman Military Uniform Reference Collection. 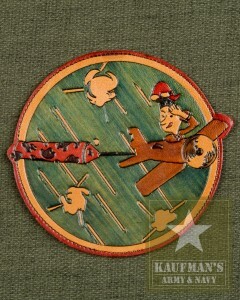 military surplus items Kaufman’s has stocked over the past 50 years! with one item or another from our extensive stock. at our 42nd Street retail store. on a weekly basis or for an extended period. What historical military uniform item are you searching for? can only be made in person at our 42nd Street retail store. and professionals only with proper identification subject to Kaufman’s approval. Special arrangements and rental procedures apply. such as the beautiful example in the photograph above. Please click the patch to view others.